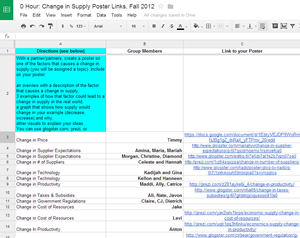 Here is a link to my video project rubric, as outlined in the lesson plan above. Here is a video I made on the Law of Demand. Reflection: I think this video could use some soft background music to make it a little more interesting and to get rid of the hum in the background. It might also need some work on the graphics, but overall, I’m pretty pleased with my first video of this sort. I look forward to creating more in the future! 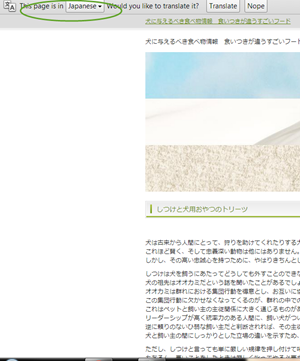 I searched on YouTube and on PBS LearningMedia for videos. Both sources are easy to search, and with PBS, especially, you know you are getting quality, relevant material. On the PBS site, I found a lesson plan with a video about where your money goes when you pay taxes, which would be a great resource for when I teach my unit on taxes and government spending. On YouTube, I subscribe to a channel belonging to a college economics teacher. All of the videos are 3-8 minutes long and they are each about different economics concepts. They are really useful for reinforcing concepts I have taught in class, especially when students are in the blended class and aren’t in the classroom on a given day. I have used numerous audio news clips in my lessons from NPR to add real world relevance to the concepts I’m teaching. It’s helpful to teach a subject that is in the news so often. 🙂 However, I’ve never really explored the world of podcasts before. I searched and found the podcasts from APM Marketplace. (I love listening to this on the radio, so I figured the podcasts would be great too!) These could be super useful and add some fun, interesting information to the topics I teach. The podcasts give real world examples of economics principles that are in current news. They might be a bit long (25-26 minutes each) to hold high school students’ attention, but I could assign students to listen to one that I felt was particularly relevant and complete an assignment on it. Or, I could find the sections of the episodes that are relevant to the concepts we are covering and have them listen to just those sections. I can definitely see using these in the future and posting links to the ones that are relevant to the concepts we’re covering on my classroom website! Strengths of video are that they use both visual and audio senses to capture students’ attention and engage them in the topic, students can see real world demonstration of concepts, and it can be self-paced so students can pause and replay sections as needed. Strengths of the audio resources I chose are that they are all very relevant to what is happening in the world right now. As students listen, they can write down connections to material they have learned in class and they don’t have to worry about missing something visual on a screen. Audio resources are also a little more portable. Students can listen to an assigned podcast as they walk, drive, or ride the bus home from school. It’s a little more difficult to do that with a video. Weaknesses of audio are that there are no pictures accompanying it, so students can’t see a visual example of what is being discussed. It might be easier to form a misconception of a topic if you can’t see it being discussed. Students may also get distracted doing something else and stop engaging with an audio resource because there isn’t an accompanying visual to grab their attention. One way I can use digital storytelling is to have students create short stories about concepts we have covered to make sure they can explain it in their own words, and that they can do so in a creative way, which really shows they have a solid working knowledge of the material. I can see doing this towards the end of a unit before I do a summative assessment (and let students watch each others’ work as a sort of review) or even after teaching a complex concept that I want to make sure everyone understands. Some ideas would include having students create stories to teach one another, stories that are more skit-like in nature, and stories that are like commercials and public service announcements that explain ideas. Another way I can use digital stories is to have students do a one minute self reflection on their understanding of the material from class. I envision this being more of single words in their stories that are up for a couple seconds at a time and maybe some short video of them explaining their understanding. I would probably do this at the end of a unit, around parent teacher conference time to have students’ feedback to share with parents (and I could share the videos too! ), and at the end of the semester. Well I sure liked it! It’s pretty great that you captured “fire-mens”, guitar playing, and a day without pants. If you need actual critique, I guess I’d turn up the intro track a bit. I really liked all of the cuts. LearnPort: I think my favorite tool that LearnPort offers is access to NetTrekker. 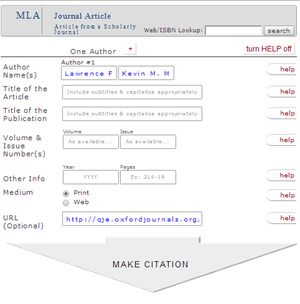 Even though I typically forget about using this tool when I have my students research, it’s so useful since the resources are curated and vetted by teachers and are listed by reading level! Kathy Kowalski always talks about how great it is, and I keep forgetting about it! 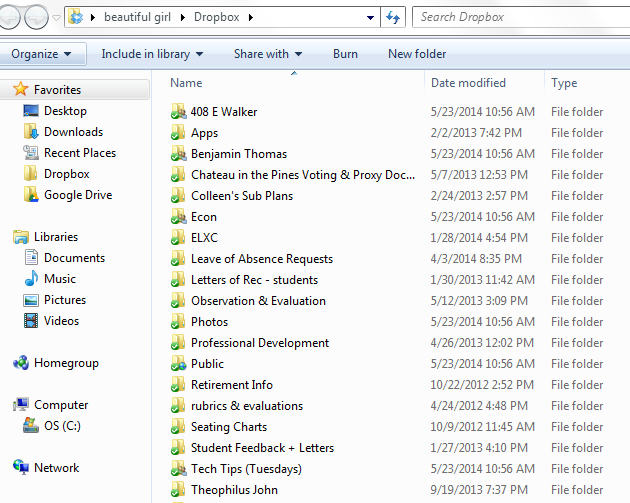 I also didn’t realize that there were so many recordings of webinars that I can access. There are many great sounding recordings on using mobile devices, techy tools, and Android apps in the classroom. This seems like it will be a helpful resource when I am looking for ideas on how to spice things up in my lessons. MACUL: Being a member of MACUL is great because I can easily get updates of new tech tools available and practical ways to use them in my classroom. I get the monthly newsletters and they are great because they always have little things to explore and try in my lessons. And I don’t have to search for the things myself – they’ve already done the work! I also just joined SIG for Online Learning, and I’m looking forward to getting more ideas of how to teach my blended class. 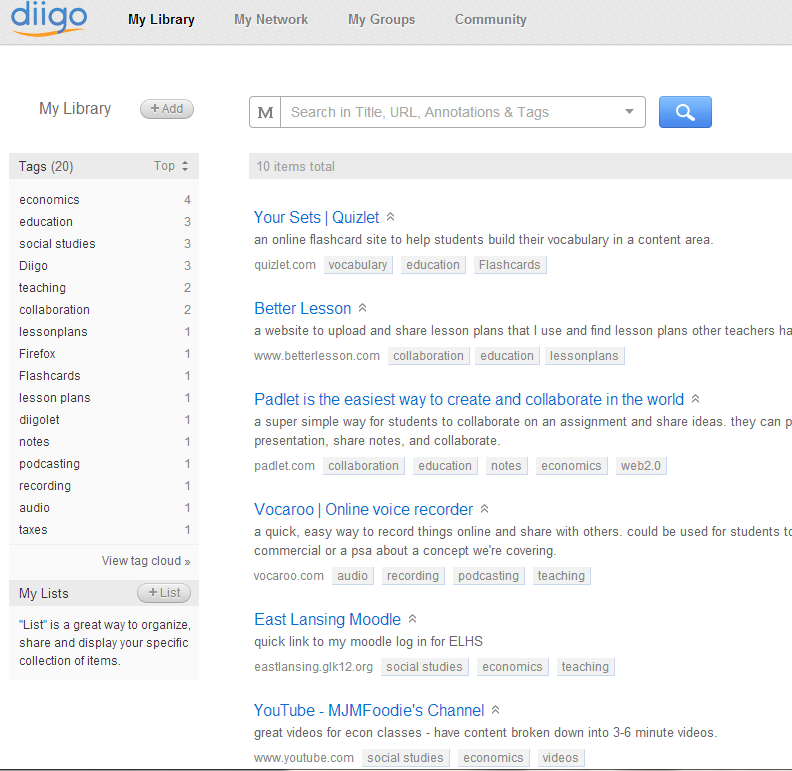 I think I can get lots of ideas for putting lessons and resources online and learn some new tips and tricks for using Moodle. I think it will be a very useful resource as I progress with online instruction. Connected Educator Videos: These are great! I watched a video on video assessment, and Laura Bell, the teacher who made the video, describes in detail how she has students use video in her classroom to demonstrate their understanding of concepts. I love using creative tools for assessment and I’m so excited to try this out. I’m looking forward to watching the other videos, especially since they are from people who have used the tools they are talking about and they have real examples of ways they have used them. Fun! The article I found asked the question, “Are Educators Passionate About Their Profession?” The writer, a school principal, talks about how engaged “students” in a hip-hop dance class are at 7pm on a school night. His son loves the class; moreover, all the students in the class seem to love it and are fully engaged. They are all excited, they all laugh, they all volunteer to answer questions, and they are pumped to try the new moves their teacher is showing them. In short, they are completely engaged in the class because the teacher is passionate about what he’s teaching. The author then goes on to relate that to a school classroom and questions whether teachers are passionate about kids, teaching, learning, and education. He states that any teacher who is passionate about these things will find a way to engage his/her students and will make change happen. I really enjoyed this article because it asked me to reflect on why I’m teaching. I think it’s a good idea to check yourself and your motivations about teaching because it’s one of those jobs where you can’t really fake it. If you don’t like what you’re doing it’s completely apparent to students, colleagues, and parents. Conversely, if you’re excited about what you do, you’ll put in the extra effort to reach students and to engage them; you’ll look for new ideas and lessons to make the material accessible; you’ll find a way to get kids excited to be in your class, even if they aren’t excited about the subject. 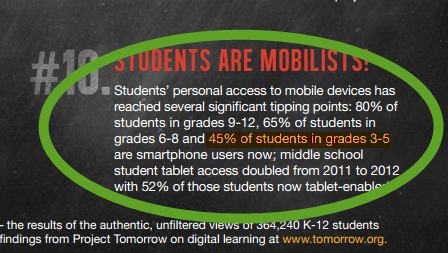 What surprised me the most was not that students are mobilists, but the age at which students use smartphones. I got my first cell phone in college; according to the Speak Up 2012 National Research Project Findings, 45% of students in grades 3-5 are smartphone users. Wow. I know firsthand that kids can easily use smartphones and tablets – my 2.5 year old knows how to use his favorite apps on our Kindle and smartphones. I just didn’t realize how many kids likely have their own smartphones. I think it’s great that students have so much access to information: they can look up anything they are curious about, they can watch a video on it, they can play a game… but the parent side of me worries about what children have access to and how much time they spend on those devices. I’m guilty of spending too much time on my phone; I read articles, blog posts, I look up answers to questions I have, I peruse social media sites…and while I think that is great, I also see it as a potential time waster. Instead of engaging right now with what’s in front of me, I can zone out on my device. Not that kids will all do that, but if the device is there, it’s easy to check out and do something else and miss live experiences. I am a little wary of putting a smartphone into the hands of an 8 year old for him to use at his leisure, but perhaps with sufficient boundaries we can reap the benefits of having access to information anytime and anyplace. Click on the image below to view a presentation of my district’s stance on BYOD, as well as my views on my district’s policy. 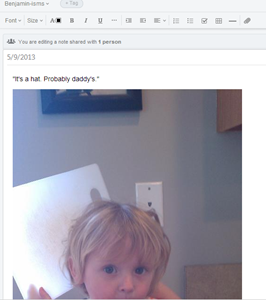 I use file conversions all the time, especially .doc to .pdf. I have a .pdf printer installed because I upload every document I give to my students to my class website since I want them to have access to the class whenever and wherever they like. 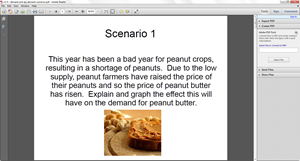 I also convert presentations to .pdf so students can go back over them outside of class. 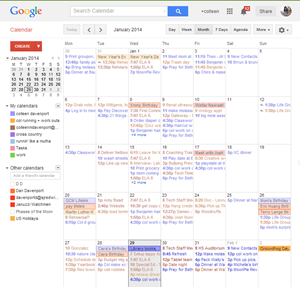 I’m not sure Dan and I would be able to go back to life without Google Calendars! We share our calendars for everything so we can schedule our lives. I’ve also used it in my classroom so students know what we’re doing everyday, and so they can see what’s coming up next in the class. It’s super useful because they can subscribe to the calendar if they want and they can plan ahead (if they actually do that!) 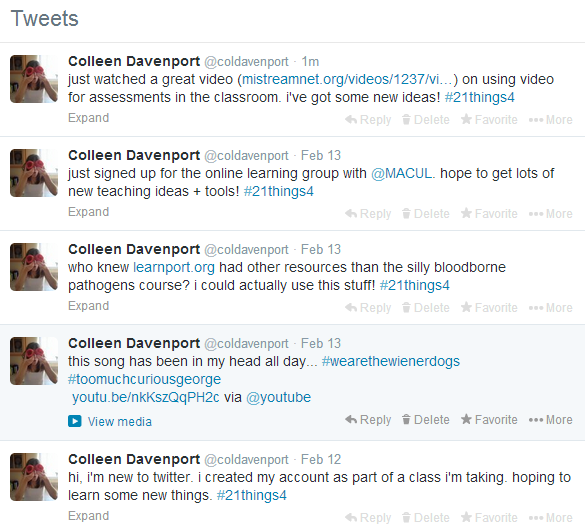 Plus parents can see what we’re doing everyday and have a better idea of what’s going on in my classroom.